"let’s face it, the air you breathe is 100 times more important than what you eat and drink, but you have no choice on the quality of what you are inhaling right now”. SMAU2016 Innovation prize this year went to U-earth Biotechnologies, a company presented by Mircosoft, with the mission of making the world a better place by providing Pure Air Zones. U-Monitor and AIRCel air purification filters, the core technology behind all Pure Air Zones, are groundbreaking Biotech solutions designed for the analysis and purification of air which, in addition to ensuring a healthy and more productive professional and public environment, represent the willingness to make a change towards a more solution aware society. A society made of people which can dramatically change the world in better with their active participation and preferences. Air pollution is one of the major causes of serious lung diseases. But not only, a recent study showed that it can have the same effects on our brain as those caused by drug abuse. The change is necessary, not only under the cultural point of view, where a grater awareness leads to a more sustainable development, but also under a participation point of view, where each of us is called to give their own active contribution. The solution proposed by U-Earth is an innovative and powerful plug-and-play system for the improvement of air quality at 360° for all contaminants at the same time, with no limitations on dimensions of particles and typology. This breakthrough system is made of two devices, U-Monitor, a real time air quality monitoring system, and AIRcel, the first biotech air purifier in the world. The application of the technology in biomedical and industrial complex settings, thanks to the partnership with Microsoft Azure and at the iCloud modalities, allowed the introduction of an important collection of data for baseline analysis purposes and to make possible the most efficiently customized purification of the related areas. Quality, science and competences derive from the high experience of U-Earth, the first biotech company to deal with air purification in a professional environment, market leader of biological purification through patents and proprietary exclusive technologies resulted from 30 years of research and direct experience in the USA and in Europe. A company that believes in innovation and develops biotechnologies for air decontamination at the service of hospitals, industrial facilities and commercial companies, with the mission of making the world a better place through its sustainability committed customers. U-earth believes Clean Air is everyone's right, and found the way to clean it in the most natural way, learning from what planet earth does to get rid of pollution. Using friendly bacteria. The two products developed by U-Earth to monitor and decontaminate the air are U-Monitor for the detection and continuos monitoring of contaminants and AIRcels air purifiers, bioreactors of different dimensions where the proprietary additive U-Ox®is inserted and activated . 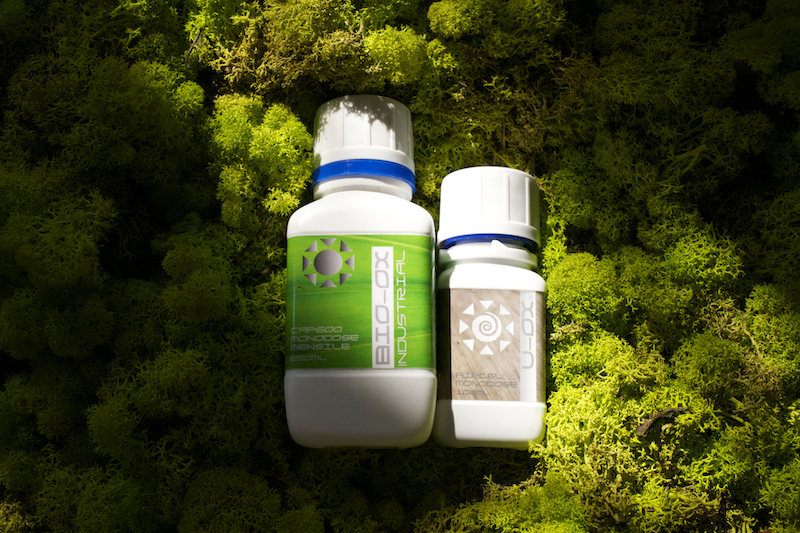 The balance between the oxygen conveyed to the fan system and the water recirculation on the Biostack® support, create the biophysical conditions for the capturing and natural digestion of contaminants. U-earth is the only technology which actually destroys air pollution as opposed to trapping it in obsolete (hepa) filters which need to be changed creating even more dangerous waste. Meanwhile the Air Quality data are visible in a very accurate yet user friendly manner on any smartphone, tablet or computer by using a specific Username and Password, and can be shown to the public entering each Pure Air Zone. Ideal and versatile for multiple applications, U-Monitor permits the detection of contaminants even hooked to drones in outdoor spaces in order to acquire a larger number of contamination data from urban air pollution queried by linking to the Microsoft hosted platform. This provides an extremely useful system also to those local urban administrations getting more and more “smart” and careful to the needs and well-being of their citizens through advanced technology. This monitoring solution can be used by municipalities to draw air pollution 3D spatial maps in real time, acquiring tons of insights data on specific contaminant behavior to validate the real efficiency of best practices like traffic limitations or spotting "safer air zones". U-earth is also about to present the first urban outdoor Pure Air Zone in Torino, starting mid July. AIRcel purifies the environments guaranteeing a zone of pure air regardless of being Indoor or Outdoor. Therefore U-earth has created a "PURE AIR ZONE” recognizable logo, printed on the sticker to be displayed in the treated areas, as an added marketing value. A new way to make the companies provide pure air as a "gold standard", and engage consumers, entrepreneurs, media, manufacturers and governments to join Sustainability Practices and Green Thinking by becoming part of the Pure Air Zone Community. The company believes Pure Air Standards can evolve exponentially simply because the people are choosing it, just like it happened with WIFI connectivity availability in the last 10 years. Existing since about a year and with more than one hundred companies joining, Pure Air Zone is today a growing community active also at every level : involving ethics-oriented business and media, promoting green cross marketing by geolocalizing the position of Pure Air Zone companies, educating on health related best practices and especially encouraging co-marketing opportunities between participants. Think about it next time you breathe. U-earth is the first biotech company in the world to deal with air purification in a professional environment, market leader in biological air purification through patents and exclusive proprietary technologies, derived from 30 years of scientific research in the USA and in Europe. It is currently located in Italy, Switzerland, The Netherlands and USA, serving the world from those locations. 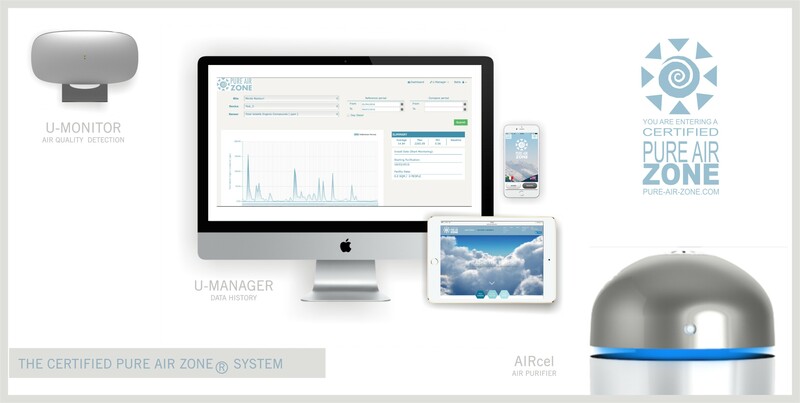 U-earth system to create Pure Air Zonesdetect air quality with U-monitor and get rid of pollution with AIRcel air purifier, the first and most powerful Biotech system in the world. 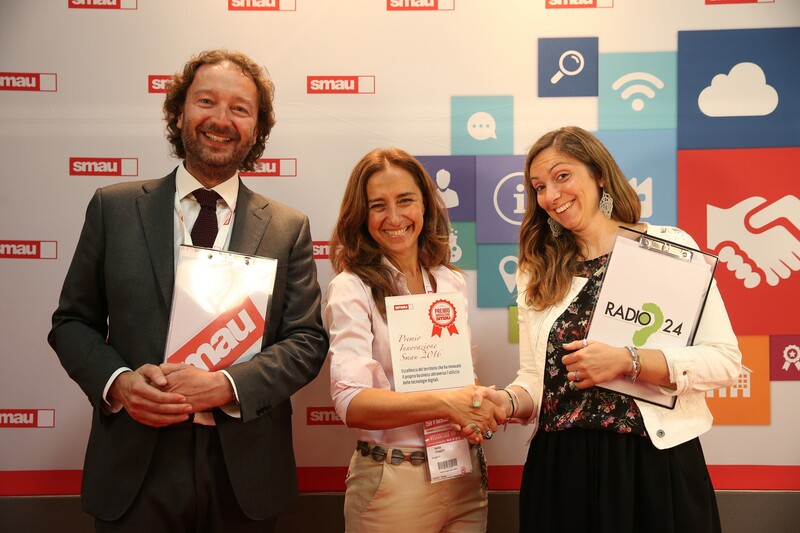 U-earth wins the SMAU2016 innovation award for Pure Air Zone projectBetta Maggio, CEO of U-earth biotechnology, collects SMAU 2016 innovation prize Damage of air pollution on the brain.Digital imaging shows neuronal brain activity lost areas Bio-Ox and U-Ox are U-earth biotech additives for AIRcel air purifiers.the pollution captured by AIRcel air purifiers is digested by the U-Ox biotech formula.